Bird Garage Door offers complete garage door installation, garage door opener installation and we can provide a complete conversion of any garage door system that needs an upgrade for security, safety and functionality on any part of the mechanical or electrical components. We offer the best prices in Orlando for garage door installation, and our services are considered by our customers to be the most professional, efficient, dependable and reliable. Choosing the correct door for your homes garage or for your commercial property can be a confusing experience if you are not aware of the correct perimeters involved with making sure the garage door you choose will fit your needs and purposes. When you choose to have your garage door installation performed by Bird Garage Door, we will help you pick the one that will add significant value to your curb appeal, your property value, and create the best flow of freight and inventory through your commercial warehouse, store or other commercial or industrial business. When you call Bird Garage Door for assistance with adding a garage door to your new home we can provide an initial Free Garage Door Installation Evaluation that will provide the advice you need to find the right garage door that will suit your homes style, your families need for safety and security, and the performance level you need based on a single car garage or a multi-car garage door installation. There are several choices available in the construction materials chosen for your garage door installation, and Bird Garage Door can explain the benefits of each one. Carriage House Garage Doors – Bird Garage Door customers no longer have to choose real wood Carriage House Doors they can choose the less expensive Vinyl material that looks like a true wood product. While Carriage House Doors remain more expensive than other styles, they add dramatic value to your property, and are becoming more popular as the “Retro Styles” return to neighborhoods. When a customer is looking for a stylish and elegant garage door installation, they most often choose this grand style made popular in the 19th Century. Vinyl Garage Doors – With the ability to be insulated against most extreme temperatures, its light weight, and resistance to denting, Vinyl garage door installation is proving more and more popular among Bird Garage Door customers who are looking to replace older, heavier garage doors. Customers looking for a low maintenance garage door installation, that is inexpensive, durable and quiet, often choose Vinyl garage doors. Steel Garage Doors – Bird Garage Door can install these extremely well insulated steel garage doors for their customers that are looking for protection against the elements to protect expensive automobiles, and the private entries into their homes. Customers who want the least expensive, most energy efficient, durable and attractive garage door installation, choose Steel Garage Doors. For Commercial Garage Door Installation, Bird Garage Door offers their customers a professional installation of light-weight and heavy duty garage doors. 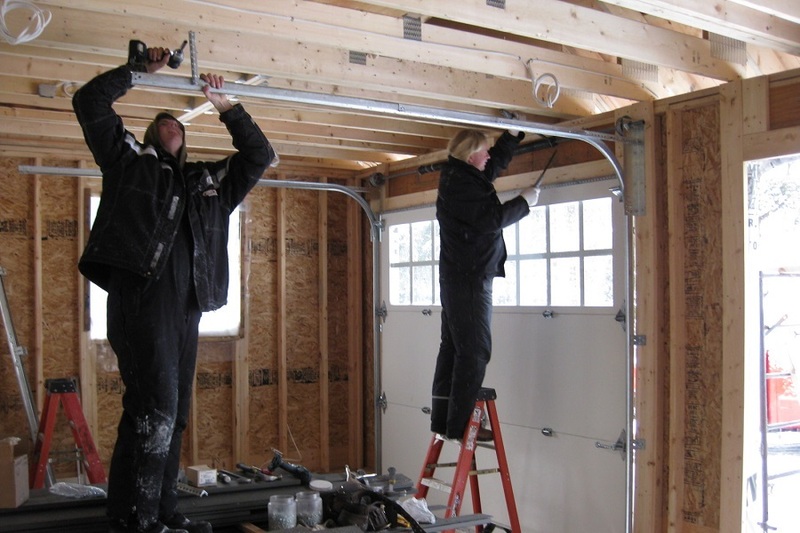 Our team of professionals works daily installing steel rollup doors, rolling doors for storage and dock installation, and all garage doors for industrial and commercial buildings. No matter what you need for your garage door problems or when you need professional garage door installation, Bird Garage Door has you covered. With the Bird Garage Door team of technicians who are the best in the state of Florida, there is no garage door repair we cannot handle. For our commercial garage door and residential garage door customers we provide a full service garage door business that is totally customer focused and always ready at your convenience. Every service we offer is provided at the best prices for garage door repair in Orlando, and our garage door installation prices are affordable and competitively priced. Our employees are committed to preserving our reputation for excellence in all areas of garage door service, and we do every job large or small with the complete dedication to providing 100% Customer Satisfaction. In order to handle our customers problems, we must be available when they need us, and that is why Bird Garage Door offers regular service hours on the weekend and evenings, as well as our 24/7 Emergency Garage Door Repair services for both commercial and residential garage door repair in Orlando. Bird Garage Door is proud of our ability to offer service from fully certified, licensed and bonded technicians who work with the best name brand parts, products, and hardware in the garage door industry, using the latest technology, equipment and tools. Bird Garage Door knows that every residential customer wants a garage door that operates smoothly, safely, and securely. Every commercial customer wants their doors to operate easily, be low maintenance, powerful, and secure. That is why we are good at what we do; we listen to the customers and we deliver what they ask for and what they need.